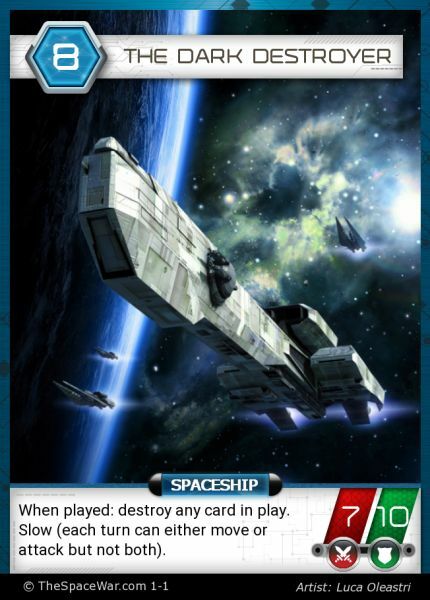 The Space War is a fast-paced strategic 2 player card game. It has a play time of around 30-45 minutes and uses several new interesting game mechanics. Both players has the same deck of 60 cards and all cards are included in the game. This is not a "pay to win game". Each card can be played in several ways but the game is still simple. I am aiming for it to be a cross between Chess, Magic the Gathering and Hearthstone. The game is created by me, Jim Westergren, in my spare time. I have more than 70 board and card games but The Space War is what I by far enjoy most to play. Jim is play testing and fine tuning the cards. August is creating the online game, alpha version due april 2019.